Wuabit: Bitcoin and more within your favorite messaging app! 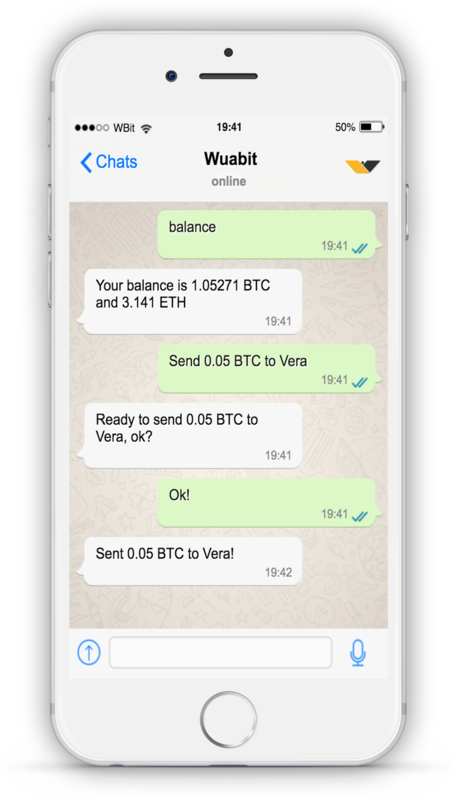 Bitcoin and other cryptos within your favorite messaging app! As easy you chat with a friend you can chat with your Wuabit assistant. Ask him to pay your last dinner with friends or let your mom get it's first Bitcoin wallet! © Wuabit 2018. Made with ❤️ by @mrmx et al. Wuabit OÜ (pending registration in Estonia) ("us", "we", or "our") operates the https://wuabit.com website (the "Service").